The event shall begin by 10 A.M in the morning may conclude by mid afternoon. 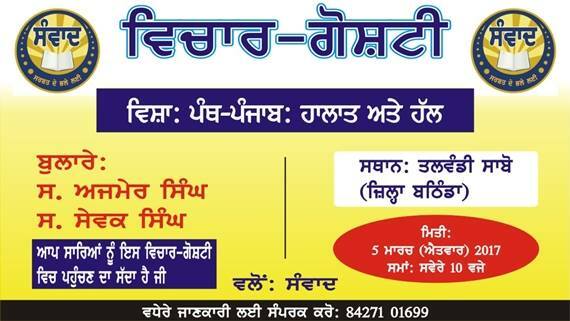 Sikh historian Bhai Ajmer Singh and Dr Sewak Singh would be presiding as main speaker of the event. Samvad has extended open invitation and anyone join this event to listen to the views of speakers. For further information, readers may contact at: 084271-01699.